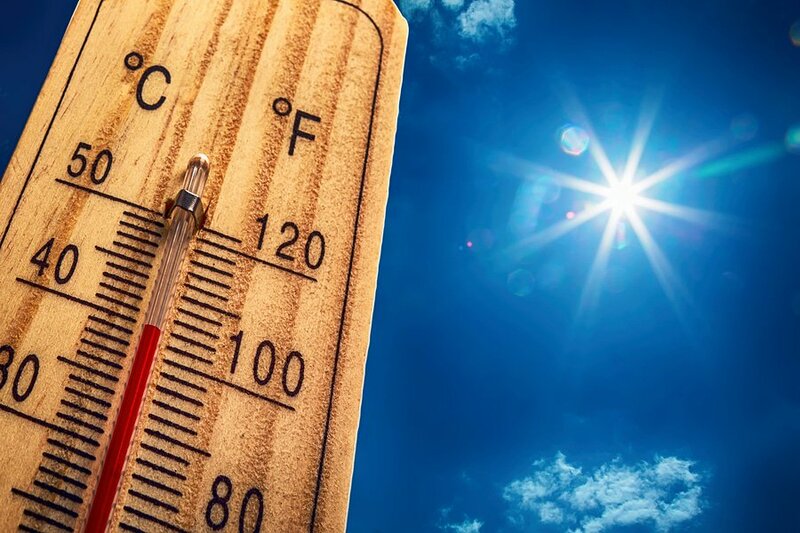 If you’re moving during the summer, here are some field tested recommendations on how to keep cool during your summer move. We also include practical recommendations on how to avoid damaging your stuff in excessive summer temperatures. Stay well hydrated above all else! Keeping hydrated not only keeps you cool, but it reduces general stress levels, something that you’ll probably want to avoid during that important day. Put your water bottles in the freezer the night before. After you fill them with water, leave about ten percent empty at the top because the water will expand as it freezes. On moving day, as the ice melts, you can drink that ice cold water as it melts. Avoid sugary drinks and don’t overdo the caffeine. Both sugar and caffeine make you much more susceptible to dehydration. Don’t wear dark colors like black or navy blue as dark colors absorb sunlight and make you hotter. Instead, wear light colors like white or beige to reflect the sunlight away from your body. Wear natural fibers like 100 percent cotton as it breathes well and keeps you cooler. Avoid synthetic fibers like polyester. Even a blended fabric that contains mostly cotton with some polyester will be far less breathable than 100 percent cotton. You have a gazillion things in your mind, new home, new city, new life, logistics, etc. With so many things to worry about, you’ll probably forget to put on sunscreen. Particularly important if you’ll be driving long hours and the move will require for you to be outside for prolonged periods. If you start to get hot, put icy water on your cheeks and or your feet. This will cool you down fast because the blood vessels in these areas will make their works to cool down your core. Eat light because if your body has to digest a big meal, your body temperature will increase. Also be sure to avoid warm meals, vegetables are best as they carry valuable H20 that will help stay hydrated. You’ll not only want to take care of yourself during your move, you will will also want to to take care of your possessions. Here are some expert tips. Plan your move for as early in the day as possible. This will protect your stuff from the hottest temperatures of the day. Heat is very damaging to wine. Therefore, to prevent this, pack your wine bottles inside a cooler with ice packs or ice. If you have paintings to move, make sure to cover them with an acid free cloth, paper, or lightweight cardboard so the sun does not fade the colors. Wooden furniture can also easily warp if left in direct sunlight. Therefore, be sure to not allow your furniture to sit outside without covering it. Lampshades can become distorted if they become too heated. Be sure to keep them in the shade and give them plenty of air to keep them cool.Avoid using bubble wrap if the temperatures will be excessively high. The heat causes the air inside the bubbles to expand and then pop. This can create a gooey mess in extreme weather! You may want to put family photos and photo albums in your private vehicle with air conditioning as severe heat can melt them. Old family letters and other paper momentos can also be damaged by summer heat. Books can also be damaged by heat. Some electronics can be damaged in extreme heat. For example, digital cameras, iPads, and laptops are sensitive. If possible, put these items in your air conditioned car. We wish you luck in your summer move and hope these tips are helpful. Remember, planning ahead is a good way to protect yourself and your belongings, as well as lower your stress level on moving day. At Neighbors Movers Orlando, FL; we treat your possessions with the same care as if they were our own, we offer unparalleled reliability and razor sharp punctuality for both domestic and commercial removal services. Call us today and get your free quote now!